Want to have a cup of coffee with a scientist? 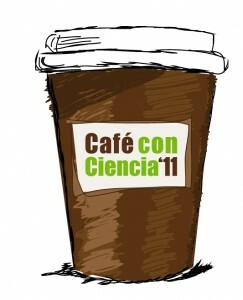 With the purpose of showing to t he future academia students the everyday work of researchers the Andalusia Foundation for Dissemination of Knowledge and Innovation in Science promoted for the first time “Café con Ciencia”. This is an excellent occasion for researchers and pre-university students from different institutions all over the Andalusia region to talk casually about science and technology over a cup of coffee. At CiCCartuja this activity was celebrated in the context of “XI Science and Technology Week” where apart from round tables about “A day in the life of a scientist” also talks were devoted to different topics of interest like new advances in the fight against HIV or the use of transgenic plants on the modern agriculture. Al-NanoFunc members introduced the participants in the nanoworld trough a voyage assisted by electron microscopy. What can Electron Microscopy do for you when researching on Material and Life Sciences. How to become a scientist : from High School to a Research Center. The relationship between Science and Society: as scientists we work for society, and it´s our due to disseminate what we do. Women in science: Science is not male. Motherhood in Science is possible if you want! And everything the students wanted to know! The XI Science and Technology Week finalized with talks from senior researchers from the 3 institutes that form CiCCartuja. Asuncion Fernandez, Al-NanoFunc project coordinator, presented a talk entitled “A voyage through the nanoworld and nanomaterials by electron microscopy”. The evolution of electron microscopy, everyday materials shown by the eyes of a microscopist, the importance of electron microscopy to solve daily problems and the example of Dan Shechtman Nobel Prize of Chemistry 2011 are few of the subjects addressed.